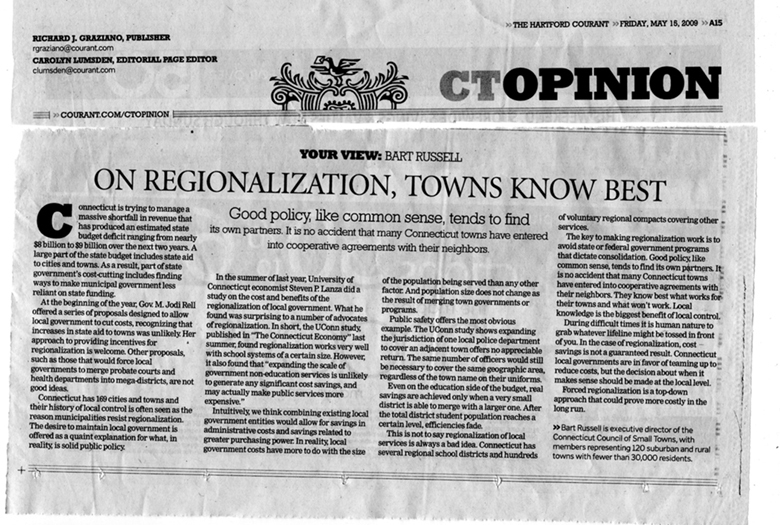 The Connecticut Council of Small Towns (COST) is a grassroots advocacy organization representing Connecticut towns with populations of less than 30,000. Given the nature of the organization, COST struggled to match the influence of more urban-focused advocates. To help change perceptions, we coordinated and promoted COST's “Connecticut’s Town Meeting 35th Anniversary Celebration,” a key opportunity to highlight its work and value to the community. Because there was an open seat for Governor that year, we helped COST organize the first bi-partisan gubernatorial debate of the campaign season. We wrangled the candidates, recruited a prominent moderator and secured extensive media coverage for the debate. These efforts helped elevate COST's influence and reputation among political reporters, who now recognize the organization as a viable alternative when seeking information about municipal issues.